Kidding… but something equally as important is the relationship we have with our team members and how we choose to nurture and maintain them. Because the quality of your relationship with your talent will be in direct proportion of their willingness to go above and beyond for the mission. And that’s important because those people are essentially going to give us the level of freedom that we aspire to, in order to do more of the things we love and the things we are good at. These are the people that are going to enable us to drive our purpose forward. The quality of your work environment and the quality of your culture will directly influence the quality of the relationships you have with the people you work with every day. Because the reality is we spend more time with our team members than we do with our own family. So in essence, it’s probably fair to say that these people, for me anyway, have become part of my family because of the sheer amount of hours we spend together. And when we look at what we want from a team, it’s very similar to the values we have in a family dynamic – we want love, we want care and we want honesty, so why not treat your team as family. 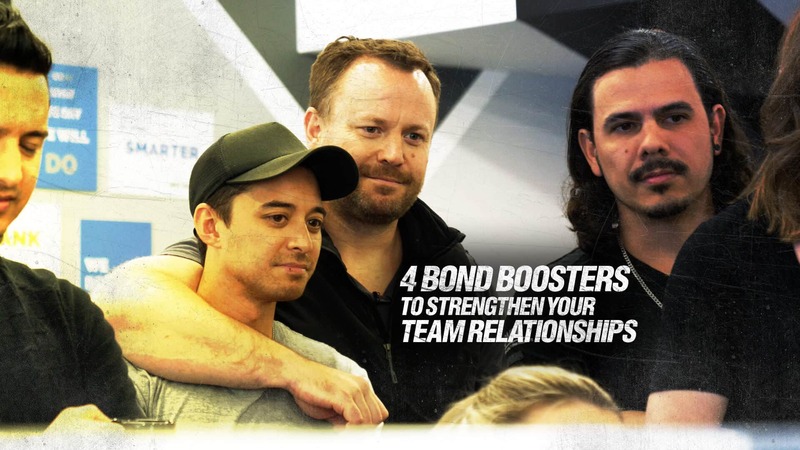 So, what can we do to strengthen our relationship with our team? Each month I like to connect with every single team member for at least 10 minutes. It’s a set meeting in the diary which is dedicated to them. I literally connect with them on a real personal level because one of the things that I’ve learnt about relationships, is that the more personal they become, the deeper they go, and the deeper they go, the better quality they will be…because people that care more will always give more. This is something that’s really important because what we do as social animals is we look at people’s behaviour and we often create blanket judgement. So, if you’re in the office and one of your team members isn’t there and you speak really poorly about them, it’s fair to say that a couple of people might look at you and go, ‘Woah that’s a little bit harsh, I wonder if they talk about me in the same way when I’m not here’. If you have a challenge with a team member, deal with it one on one. If there’s something that needs to be dealt with open and honestly in front of the team, do it when everyone is there so they all have an opportunity to give their own point of view. It’s not always about outcome. Social acknowledgement is a really potent reward that creates a strong level of motivation that drives people forward. Every opportunity you get to acknowledge people publicly and socially on the behaviours and efforts you see, do it. Social acknowledgement not only fires people up and makes them feel incredible, it also encourages them to keep demonstrating the behaviours that got them acknowledged in the first place. For me this is about giving back, and there are so many different ways you can give back to your team. I randomly told the guys a few weeks ago that I was buying everyone in the office a thick shake – now it’s turned into a ‘thick shake Friday’ ritual. Often times I’ll buy lunch for everyone unexpectedly. And at the end of last year I took everyone on a surprise trip to the Gold Coast for our annual planning. The reason why we want to give back to these people is because they give so much to us. Yeah but that’s the base line. If we are trying to build good relationships, then we need to go that little bit further. So my advice to you is find ways to give back to your team today, and start doing things that are going to build a stronger relationship with your talent, because after all, they are the people who are going to help you achieve your mission and help you fulfil your purpose.